Have full visibility. No cash leakage. ProfitBoard from SlickAccount understands what should be the least amount of cash you need on hand to keep growing. And in our every report we strive to provide you with realistic figures. 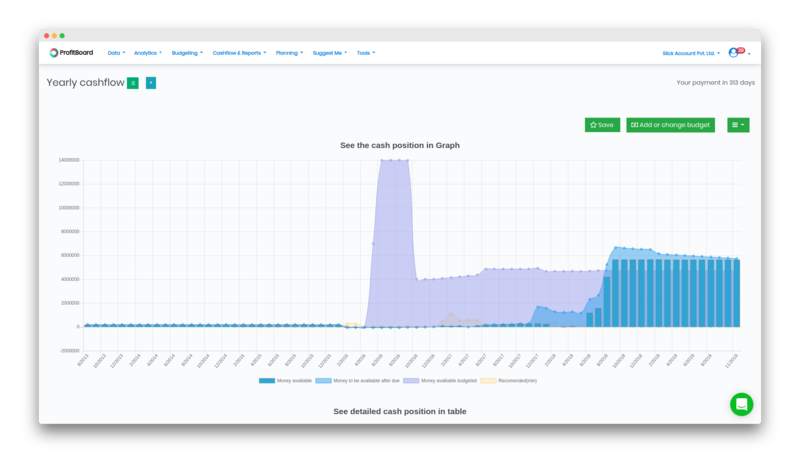 Traditional cash flow softwares show you the cash you'll need for a month, often ignores the days in between, when you go negative. With ProfitBoard, we show those negative values when showing the cash required. Minimum cash needed today is next 3 months' expenses! ProfitBoard is designed with CFOs with vast years of experience. They know a businessman can make profitable decision when there is more than 3 months' expenses in hand. So we strive in every report how to reach that value. The delayed invoice payments we project to future. 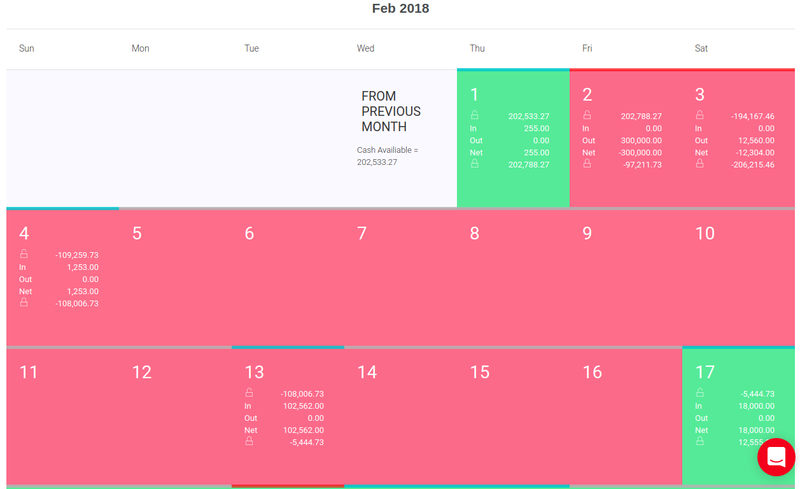 Traditional cash flow software show you the cash you'll need for a month, often ignores the days in between, when you go negative. 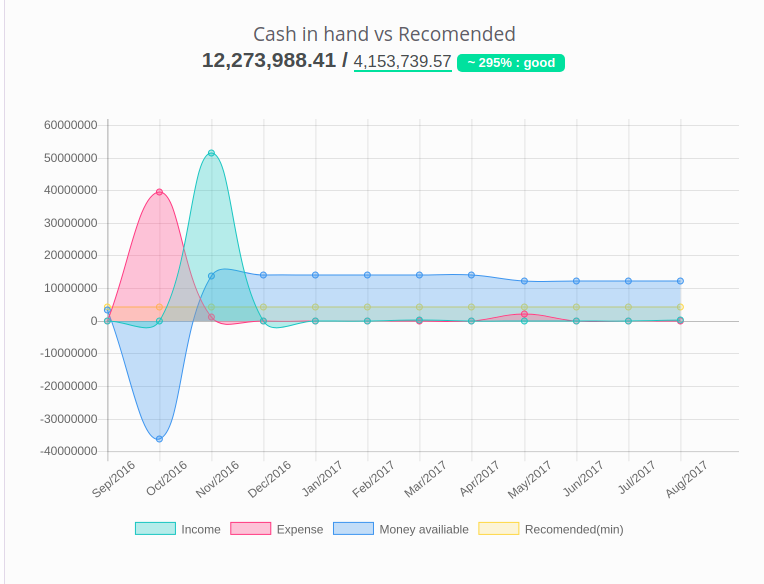 With ProfitBoard, we show those negative values when showing the cash required. Making future cash-flow certain with realistic variables. Bank holidays. Extra charges. Expected delay.